Can Slackware be recompiled from scratch? The package installation took 3 seconds and now what? Stable versions are the numbered releases (12, 12.1, 13, 13.37, 14.0, 14.1 etc.). They are supported for a number of years after release, by way of security updates. Security updates are added to the the “/patches/packages/” subdirectory of a Slackware release tree on every public mirror. Functional updates are not added to past releases. If you want to know when the next version will be released (at time of writing the most recent stable release is 14.1), it will be ready… when it's ready! There are no fixed release dates, as the Slackware goal is to deliver the most stable Linux experience. Several other distros (including Linux From Scratch) are capable of being rebuilt from scratch using the publicly available sources and scripts. Fedora habitually recompiles itself completely from time to time. Slackware is not like those other distros: there is no “master build script”. The Slackware distribution grows and evolves “organically” and the utmost care is taken that all software in the distro is in working condition. Slackware does not need “rebuild from scratch” in order to achieve that goal. To the contrary: recompiling an older package may introduce new bugs or incompatibilities when the recompiled package picks up undesired new dependencies and/or functionality. That does not make Slackware a “binary distribution”, not does this philosophy violate any license. In order to comply with Open Source licenses such as the GPL (and also because, why not? 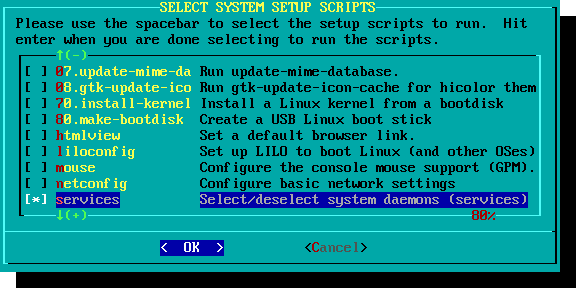 ), Slackware makes the complete source code and build scripts available for all the packages that are part of the distro. You will find these sources in the ./source, ./extra/source, ./pasture/source and ./patches/source subdirectories of any release. These sources and scripts are exactly what was used to build the accompanying package at the time of its release - no more and no less. Note: It is essential that you understand these sources and scripts have produced a package using the system libraries available at the time of its creation. Over time, with all the library updates and introduction of new packages, the source code of any package may lose the capability of being re-compiled into that same package successfully. But that is perfectly normal: a Slackware package will never be recompiled unless its binaries stop working (due to dynamic library conflicts for instance) or because that package is upgraded to a new version. Only then, the sources and scripts for any package are re-evaluated. If patches are required at this time - to make the sources compile successfully or to make the resulting binaries work correctly - then patches will be added. You are attempting an installation of Slackware from a HTTP or FTP server. 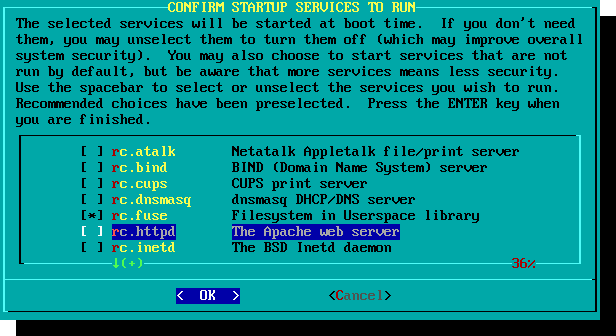 After entering the server's hostname and the Slackware package directory, you see the usual messages like “INITIALIZING PACKAGE TREE”, but then during the “PACKAGE SERIES SELECTION”, you can only select “A - BASE LINUX SYSTEM”. Where are all the other package series? You will experience this scenario when you are using a 32-bit bootable installer image to install a 64-bit Slackware from a webserver, or vice versa 1): you attempt an installation of 32-bit Slackware using a 64-bit installation image. Solution: use the same architecture for the installer image and for the architecture of the Slackware release that you want to install from a webserver. Installing more than 1000 packages should take between 10 and 45 minutes, depending on the computer you are installing them on. If the installer claims it is finished after only a few seconds, that means it did in fact not install anything at all. So what happened here? This kind of issue occurs when you are not installing from the DVD or CD you booted from, but selected one of the alternative installation methods: a pre-mounted directory, or a loop-mounted ISO, etcetera. In all those cases, you have to enter a directory path to the location where the subdirectories representing the Slackware package sets can be found (the 'a', 'ap', 'd', …, 'y' directories).